PSYCHOLOGY is the science of mind; and the word esoteric signifies inner. Esoteric Psychology, therefore, embraces the inner workings of the mind; not being confined in its researches to the physical, or three-dimensional plane, but including every plane and every type of life-form through which mind, or soul, expresses. This does not exclude the findings of exoteric psychology, which confines its attention to the physical world. Inner processes are largely recognized by their external effects. Thus the better to understand the relationship of inner mental factors, we can afford to ignore no demonstrated finding of laboratory psychology. In fact, the experiments of the Behaviorist school of psychology, and those of the psychoanalysts, afford us a vast fund of carefully checked evidence. Thousands of such experiments conducted by specially trained men enable us to cite facts which give us understanding of the processes of the unconscious mind. Some fifty years ago Thomas J. Hudson, after observing various types of psychic phenomena, came to the conclusion that man possesses, in addition to his ordinary everyday consciousness, mental abilities and mental processes of which he is unaware. In his Law of Psychic Phenomena he set forth the theory and apparently demonstrated it by many examples of their workings, that each human being has two minds. The common everyday one, of which we ordinarily are conscious, he called the Objective Mind. The other, about the operations of which we usually have no knowledge, he termed the Subjective Mind. Then, after Hudson, there arose the school of experimental research, which exerted a vast ingenuity and dogged perseverance in devising and applying tests by which they hoped to determine, not merely if spiritistic phenomena took place as claimed by its advocates, but if it all could be accounted for through the subjective mind, or as they chose to term it, the Subconscious Mind. These found that there is a section of the human mind which functions while still attached to a physical body much as Hudson said. Some of the greatest of these scientific psychial researchers, such as Sir Oliver Lodge and Sir William Crookes, became convinced they had received evidence of the survival of the personality in an unseen world. And about that time it was decided that another name was more suitable for that which they had been calling the Subconscious Mind. They therefore joined the Latin limen, meaning threshold, to sub, meaning under, to form the word signifying those states of mind which are below the threshold of everyday consciousness. Up to the time of Freud, the Subliminal Mind was the current terminology for that which Hudson had christened the Subjective Mind. It was coined as a strictly descriptive term. But certain popular metaphysical writers jumped to the unwarranted conclusion that it was used to denote sublime, in the sense of lofty, and was therefore a very superior thing to the Subconscious Mind. To their imaginations, but not to scientific men, nor to genuine occult students, there existed three minds: the ordinary Objective Mind, the rather despised Subconscious Mind, and the god-like Subliminal Mind to which they looked in demonstrating whatever they desired; even to demonstrating into their own pockets, without giving value received, money which other people had worked hard to acquire. Not that they wished to be dishonest. They merely lost sight of the fact that wealth is the product of labor applied to material, or its equivalent, and that even when wealth is demonstrated by the power of the Subliminal Mind, someone works to produce it. Money is not materialized out of thin air, but when one person acquires it, another person is deprived of it. Which is just enough, if he is given its equivalent value in return. With the coming of Freud and the vast literature on psychoanalysis which followed him, a new fashion in terminology developed, and what had once been called the Subconscious Mind came to be recognized by psychologists as the Unconscious Mind. Therefore, to keep step with the approved terminology as it exists at the present moment, in these lessons that which once was called Subjective Mind, Subconscious Mind, and Subliminal Mind—all meaning the same thing—will be referred to as the Unconscious Mind. Furthermore, because in it resides the sum total of consciousness, including that which connects up with the physical brain to express as Objective Consciousness, it should be understood that the Mind, the Soul, the Character and the Unconscious Mind of an individual are one and the same thing. There are not two minds. What is called Objective Consciousness, or Objective Mind, and about which there is a growing tendency upon the part of some psychologists to call Clear Consciousness, is merely a portion of the Mind, Soul, or Unconscious Mind—as you choose to term it—manifesting through the physical brain. To do this it utilizes electric energies to impart vibratory rates to the brain cells. How the astral substance of the four-dimensional realm in which most of the energies of the Soul, or Unconscious Mind reside, exchanges energy with physical substance through their mutual contact with the ether is explained in detail in Course I (Laws of Occultism). That mind, in some degree, is an associate of substance wherever found is set forth at considerable length in Course III (Spiritual Alchemy). And the steps and processes of the Involution and Evolution of the soul are given detailed attention in Course II (Astrological Signatures). 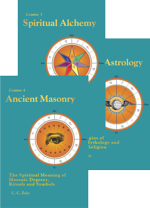 Therefore, it must be assumed that the reader is somewhat familiar with these subjects, which afford the necessary background for the comprehension of Esoteric Psychology. The practice of psychoanalysis, for instance, has revealed to psychiatrists that within man’s Unconscious there lurks every tendency, impulse and desire characteristic of lower forms of life on earth. Many of these traits have been amalgamated to express man’s higher tendencies, and in the normal human life find little opportunity for their old expression. Nevertheless they are there, and under certain pathological conditions they separate from the higher tendencies of which they form a part and become dominant as bestial desires expressing in anti-social forms of behavior. And even in the lives of normal men the presence of these lower-than-human tendencies are revealed to the alert observer in the many little unconscious actions of everyday life, and particularly in dreams, while the vigilance of the higher mentality is dormant. That such should be the case is to be expected when it is recognized that all the traits and characteristics of the Unconscious Mind are derived from its previous experiences, as conditioned, stored and fused into more complex organizations within the four-dimensional astral form. Observing the operation of God’s Great Plan, and how life-forms fit into it, each in its proper niche, all marching forward under cyclic law to perform a higher destiny, moving from the simple toward the more complex, brings conviction that souls are not brought into existence—differentiated, as the occultist would say—willy, nilly; but according to developing Cosmic Need. The ego, or potentiality which furnishes the energy to cause the soul, or mind, ceaselessly to struggle forward to the accomplishment of its destiny, is a spark of the divine fire, that is, pure spirit; an eternal atom of Deity. But until the moment of differentiation, it has no special individuality. It has potentiality, but that potentiality has not been released in the performance of any given activity. Under the stress of the Cosmic Need for a special type of soul to perform a given function developing in the future, the spirit atom is drawn into the creative vortex of angelic parents and given that definite trend which becomes its individuality. 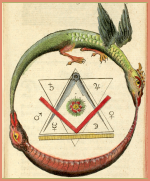 Needs and trends of the mental and physical worlds are mirrored by the positions of the planets and zodiacal signs. These create tensions and set up pressures in astral substance which have an influence upon life. Life-forms find it easy to move in the direction of the prevailing four-dimensional currents; but difficult to face the astral headwinds, or even to go cross-stream. Thus can activities on earth be foretold by charting the heavens. This Law of Correspondences, as the relation between entities or movements and stellar positions is called, is universal in its application. And while the stresses in the Cosmic Mind belong to a plane of dimensions far above that which can be charted, we can assume that something similar obtains even in the most interior realm, and that, were we on the six-dimensional plane, the so-called Celestial Realm, where the ego receives its differentiation, that it would be quite possible to chart the stellar influences there which resulted in any particular ego’s differentiation. Observation, if extended sufficiently far, convinces that the universe is not fortuitous but exhibits the characteristics of intelligent design. And we must conclude, not merely from the Law of Correspondences, but from witnessing the processes of evolution, that the intelligent entities of which the universe consists, and which perform its work, are not brought into existence unintelligently, but because the completion of the universal design calls for the performance of the function for which each is being educated. Each ego is called from the realm of potential unspecialized spirit by the developing need for a workman of a particular kind. 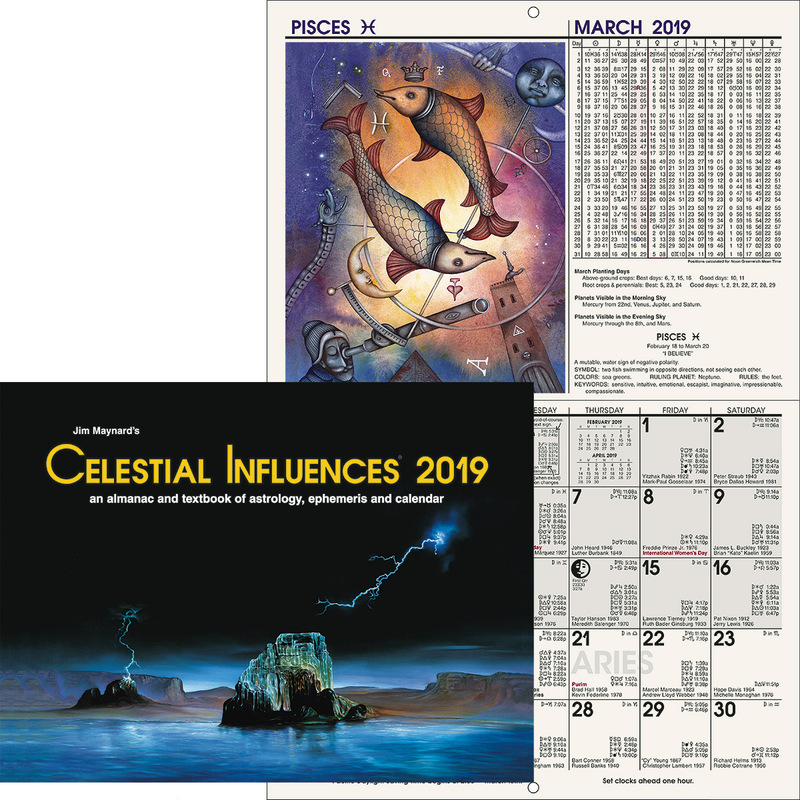 And could we possess the stellar chart of the moment when it is born of angelic parents—that is, differentiated—this celestial birth chart would furnish us with the design of the function the ego is called into existence to fulfill. Such would be the ego’s birth chart. This celestial birth chart mirrors one portion of the Whole Cosmic Plan. It is that section of the progressive Infinite Design which is the ego’s special work and which it can do better than any other; because it is called into existence under those conditions which give its potentiality those special trends, which when developed through education, fit it particularly for that work. As the Cosmic Temple is a very complex edifice there must be workers, so to speak, in iron and workers in brass, workers in wood and workers in glass—painters, masons, decorators, lighters, heaters and a myriad others—on the faithfulness and efficiency of all, each in his own line of endeavor, depending the perfection, utility and beauty of the Temple. Yet the edifice never will be completed; for it is laid out as a progressive plan, such that when one set of specifications is completely filled another is imposed, outlining a finer, more exquisite, effect. Such increasing perfection, and such expanding proportions, not only require a continual addition of new workmen—egos with their attendant souls—but require in those already at work, increasingly higher skill of execution. Thus must they perpetually progress in the perfection of their abilities that they may handle the work which it is their special mission to perform, and which assures them of immortal life. Each ego, therefore, at the moment of its differentiation, under the influence of the stresses that then mirror Cosmic Needs, is given a polarity—that is, attractive and repulsive qualities—that determines broadly the trend of its future development. This original polarity, could it be mapped, would constitute the ego’s chart of birth, affording a blue-print of its future work, and indicating the type of experiences necessary to develop such abilities as are required in its performance. The ego, when differentiated, however, can not be said to have possessed either feeling or knowledge—Love or Wisdom—because, as set forth in full detail in Chapter 4, Course II, Astrological Signatures (Serial Lesson 4), all knowledge and feeling are derived from experience with environment. They are based upon perceptions of relations; and the ego as yet had experienced no relations. Awareness can be developed only through repeated contacts with changing environment. All intelligence and all feeling are developed through the recognition of the differences that exist between things contacted. And the ego, due to its original polarity—attractive and repellent quality—at once started attracting experiences. That is, it started having those experiences which are the basis of feeling and intelligence—Love and Wisdom. And thus it gradually built around itself, of the substance of the plane it occupied, a form which was sensitive to such contacts, registering and reacting to them. 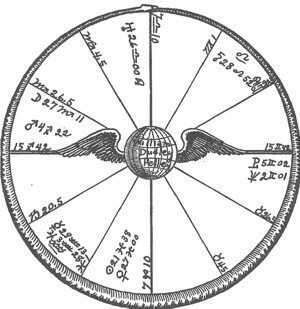 How the ego, that it might have wider contrast and variety of experiences, extended the sphere of its influence to the fifth dimensional spiritual realm; and there, to still further widen the scope of its training and ultimate usefulness divided the soul-sphere which it had developed into two-monads, is explained more fully in Course II, Astrological Signatures. 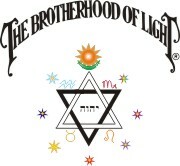 Each of these twin souls however, expresses the birth chart of the ego according to its masculine or feminine polarity. These two souls are impelled in their forward evolutionary movement by the same spirit ego. There is the same potentiality, or driving power, behind each. These souls, or minds thus developed by the ego, are organizations in substance which register experiences derived from contacts with the environment. The kind of environment attracted is determined by the polarity of the ego; that is, by its celestial birth chart; just as the experiences attracted by a man are determined by his physical birth chart. The ego at all times furnishes the divine driving power that urges the development of both souls and gives to them that ineradicable longing for significance that becomes the will to live and struggle. Nor can the soul lose its immortality so long as there persists the connecting line between itself and its ego. The ego furnishes the eternal divine energy. This energy acts upon the substance of some plane of existence, and a form is gradually built. The form whether spiritual, astral or physical, becomes organized in a particular way through its contacts with environment. Its experiences are registered as feeling and intelligence. Feeling and intelligence, however, are not registered by physical substance. Three dimensional existence affords a means of contacting experiences of great contrast and wide diversity, but in itself is too coarse to retain such impressions. But associated with all physical substance (see Course I, Laws of Occultism) is both the ether—a transition substance—and the four-dimensional astral, or stellar, substance. This four-dimensional substance is frictionless, and retains indefinitely the motions imparted to it. And it is in this fourth-dimensional substance that all physical and astral experiences are recorded. The recording of an experience, whether directly derived from the external environment or from a mental process, causes a change to take place in the substance where the recording is made. That is, the sum total of the organization in the finer forms, all derived from experiences, constitutes the soul, the mind, the character, or the unconscious mind, these four terms signifying identically the same thing. What these experiences have been was determined by the birth chart of the ego. 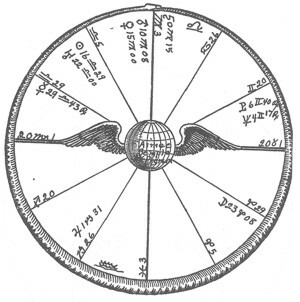 Each of its two souls or thought-organization, is moving forward under the impetus given it by the ego, gathering those experiences, in association with various forms, which it requires to develop the abilities indicated by the ego’s birth chart to be necessary to perform the required function in realizing the Cosmic Plan. It is busy acquiring both the experience and the power to be able to handle that section of Cosmic Work for which the ego provided the blue-print. The ego’s chart is the blue-print to which both the female soul and the male soul work. That is, in the division of the soul sphere in the higher state of the spiritual realm, as a physical cell so often divides to form two, the original polarity of the ego impressed itself equally upon each. But this quality of attracting certain events and repelling others, because exerted in the one case from feminine relations and in the other from those masculine, does not result in identical experiences for twin souls. As the essential polarity of each is the same, in their broader outline the trains of experience parallel each other. But in particulars there is wide variation. Yet both the parallels and the variations in training tend to educate them so that they both desire, and are fitted for, a given work, in which their abilities complement each other. Because through the long stretch of time since its formation a soul continues to manifest attractive and repellent qualities similar to those of its ego’s birth chart, even though these qualities have been given special twists and trends through contact with environment, the birth chart of an individual when he appears on earth in human form bears, in a broad and general way the impress which indicates his Cosmic Work. But from this we must not conclude that the birth charts of twin souls must be almost identical. In their broader aspect they show similarity; otherwise they would not be fitted to work together in the performance of a common Cosmic Function. But that their abilities should complement each other, each has had a variety of experiences not undergone by the other; and a birth chart is a map of all the experiences a soul has had up to the time of human birth. Experiments with subjects in a state of hypnosis, psychoanalytical practice, and a wide variety of psychological phenomena all demonstrate that every experience, even the slightest and most inconsequential, is registered and retained without loss by the unconscious mind. The awareness of the experience by the unconscious mind adds energy to its organization. As the astral substance of the finer body is frictionless this energy is permanently retained; although it may unite with other energies in the formation of a more complex organization. Yet at any time contact is made with it by etheric energies that have the power to impress the cells of the physical brain, it reproduces itself there and the experience is remembered. No theory of material science has ever satisfactorily explained memory. It is estimated that there are 1,200,000,000 cells in the gray matter of the human brain. These are dynamos for the production of the electric energy used in objective thinking, including objective memory. The white matter is a matrix on which are recorded, through the development of interlacing nerve fibers, action patterns which are established through etheric energy hookups. That is, etheric energies forced to travel certain paths once, develop physical lines through the white brain substance that permit them again to follow the same route with greater ease. Such action patterns, making it easy for etheric energies to follow paths once traveled, aid objective thinking. But what about the intelligent action of blood corpuscles or of an intestinal loop, when removed from a human body, as cited in Chapter 9 (Serial Lesson No. 64, “How to Think Constructively”)? Nerves and brain facilitate objective consciousness, but many creatures have neither. But while material science, to account for the things observed in laboratory experiments, insists all organized matter possesses an unconscious memory, it fails to suggest its mechanism. Nor can it be explained until it is recognized that associated with organized matter is a frictionless replica in four-dimensional substance which has the property of retaining all the impressions it receives, and through the intermediary of the electric energies which accompany all life processes, of again imparting similar energies to the physical protoplasm. For sake of convenience all states of awareness may be classified as thoughts. All experiences of which the unconscious mind is aware, as well as those recognized by objective consciousness, therefore, may be classified according to the kind of thought-elements they contain. That is, the energies added to the four-dimensional form, and which organize it, are those of definite thought-elements. In this sense the astral form of every living thing is a thought-built body, built of the thought-elements which on the four-dimensional plane serve a purpose similar to that served by the chemical elements of the physical world. These physical chemical elements combine in certain compounds to form the protoplasm which is the substance of physical organic life. The body of man, for instance, is chiefly composed of protoplasm and its secretions. And on the astral plane the thought-elements also combine in certain compounds to form the chief substance of the organic four-dimensional body; a substance called psychoplasm. The protoplasm of the physical body exists in the form of cells. And in like manner the psychoplasm of the astral body is not just a homogeneous mass, but exists in the form of innumerable cells, which are called thought-cells or stellar-cells. They are termed thought-cells, and the structures they form are called thought structures, because they are thought formed; and they are also termed stellar-cells and stellar structures, because both astral and stellar pertain to the stars, and the substance of the four-dimensional plane is that not only of which the thought-cells are composed, but through which astrological energies exert their power. Keeping in mind that stellar-cells are the thought-cells of which the four-dimensional body is formed, it’s not difficult to understand that these enter into the organization of definite structures. In the physical body there are muscular structures, bony structures, membranous structures, nervous structures, etc., all composed of protoplasm cells or their secretions. So also in the astral body there are structures which have been built up by active stellar cells, organized by the energies of thought processes into definite forms and each possessing its particular type of energy and performing its particular function. The elements of which the stellar cells are composed have entered into combination according to the circumstances present at the time they were built, by experiences, into the astral form. The conditions then present, and subsequent mental processes, have arranged them according to a definite pattern, or have organized them into some definite structure of the astral body. The more powerful and energetic of these structures in the four-dimensional form are termed Dynamic Stellar Structures. It should not be thought, however, that these thought-cells, thought-built stellar structures, and thought organized dynamic stellar structures have been chiefly acquired through experiences in human life. All life-forms on the astral plane and all life-forms on the physical plane are constantly adding energies derived from their various experiences to the cells and organizations of their astral bodies. Neglecting consideration of the thought-cells built by the soul in five-dimensional substances in its descent to the astral, let us consider that the unconscious mind, or astral organizations, as the result of its experiences in one form, learns how to handle its processes, and in time to build and function through a still more complex form. Whatever experiences it had before it contacted the substance of three-dimensional existence formed thought-cells within its structure. And as a result of these astral experiences it finally was able to enter into the fertilized germ of some lowly form of physical life. When this single-celled organism died, the experiences it had in connection with it underwent further organization as it lived on the astral plane, and gave it the ability to be attracted to, and to function through, a physical life-form still higher in the scale of evolution. And this process continued until at last it had experience enough to build about itself the physical body of a human being. Innumerable processes take place within the human physical body which are undirected by the objective mind, about which the objective mind knows nothing, and which if it did recognize them it would fail to understand. The manner in which the blood corpuscles carry nutrition to the tissues, the processes of glandular secretion, the assimilation of food from the digestive tract, and the work of the various organs are all directed by the unconscious mind, the thought-cells of which, and the thought-built structures of which, have learned how to do these things in association with lower forms of life. That is, many thought organizations in the human astral body were built in the past to enable some lower organism to perform its function. Thus when the soul, or unconscious mind, is attracted to the fertilized seed of the human species, it has back of it a long history of accomplishment, which has developed the abilities it will be called upon to use as a human being. Innumerable thought-cells fill the twelve distinct compartments of the astral body. Well built thought structures, or stellar structures, some of them containing great energy, such as the dynamic stellar structures that denote the natural abilities with which the child will be born, are already present. And when the human child is born, due to that mysterious sympathy which exists between the soul and the stars, its birth chart provides an accurate map of the most important arrangements of thought-cells within its unconscious mind, their composition, their energy, and particularly the type and activity of those most active groups of thought-cells, the dynamic stellar structures. I am not here so much interested in indicating that a birth chart is a map of the soul and its organization at the time of birth into human form, as in pointing out that the abilities and tendencies thus mapped are simply a cross section of the soul’s progress through time. That is, centuries before birth its organization was different, and centuries after birth its organization will be different. That with which it is endowed at the time of birth represents the sum total of its experiences as organized at the time of birth. Before birth it had fewer experiences, and after birth it will have had more experiences, these adding new energy to the unconscious mind and changing its organization. Thus the soul, or unconscious mind, is not static; but ever moving forward, developing along the general line called for by its ego’s blueprint; acquiring those experiences which most it needs at any given time to develop the abilities it will be called upon to use in Universal Construction. At this point someone may inject the thought that it is unjust for one person to suffer and for another apparently to escape hardship and to realize most of his heart’s desires with little effort on his part. Such a question, however, is based upon a narrow and purely materialistic conception of universal processes. It assumes that justice can be obtained only by material awards. Yet even the materially minded must admit that the sense of satisfaction is a far better measure of how life has treated an individual than is the possession of health, long life and worldly goods. By worldly standards alone those who have less opportunity and fewer material possessions, even though pain and hardship is their lot, often gain more from life in the way of happiness than do those who apparently sit in the lap of the gods yet grumble because they still are discontented. But to consider human life and the physical plane as the sole place and time from which justice must be measured, even if the soul returned over and over again to occupy a human form—which it does not—is to narrow the judgment to trying to appraise the whole value of a life which is illimitable in time by viewing a single cross-section of it which is infinitesimal in duration in comparison to the whole. It is less logical—because a day in proportion to the span of a man’s physical life is far longer—than trying to judge how fortunate a man is, that is, what his rewards are, by estimating what befalls him on one day alone. Yet the particular day selected may not be a fair average. It may be the day of his whole life on which he has a heavy financial loss, takes down with a severe illness, has an accident, or on which he inherits money, gets honorable mention for some service, or is victorious over an opponent. Not only the physical plane can not be used to estimate the justice with which an individual is treated by universal law, but even if the events stretching along the line of life in innumerable life-forms before the soul was incarnated as a human, and the myriad other events which are attracted after the soul has graduated from the physical plane, be used in the appraisal, the method still is faulty, because it omits the factor of satisfaction. All life strives for satisfaction. And feels well treated or badly treated in the degree it attains or misses the satisfaction for which it craves. The greatest single craving of any life-form is directed toward significance. Much will be said in subsequent lessons about this urge to be something, which is really the motive power behind every life-form, causing it to cling to life and to struggle on, even in the face of difficulties. Yet, because the ego’s blue-print is different, each pair of souls derives its ultimate sense of significance from attaining a different objective. That is, each pair of souls gains its sense of satisfaction from filling in the design furnished by its ego. Yet as the birth chart, or blueprint, of each ego is different from that of every other ego, the line of effort which gives maximum significance and satisfaction to one pair of souls must be different than that of any other pair of souls. To bring the discussion back to the commonplace, what man having great talent for watchmaking, and in love with his work, envies the locomotive engineer or the statesman? When a man is performing his proper function, whatever that may be, he has a sense of significance, and a happiness which he could gain in no other way. Who shall say that his real reward is smaller than another’s; and by what standard shall it be judged that the born watchmaker is being unjustly treated because he was not born with talent as a physician or with a flair for law? Each soul, at every stage of its cyclic journey, is striving toward the realization of the blue-print of its own spiritual ego. Such realization is only possible through the exercise of highly specialized talents; through the use of abilities that are not the same in detail as those of any other soul. The only possible way such abilities can be acquired is through a suitable education. And the original polarity imparted to it by its ego was such as to attract to it whatever experiences might be necessary to develop the essential abilities. All life-forms on the physical plane and astral plane have obstacles to overcome, suffer pain, enjoy pleasure, and must struggle to adjust themselves to an ever-changing environment. But the type of experience attracted by either a man or a worm is not determined by the moral worth, not meted out as reward or punishment: but is attracted because that man or that worm requires that particular experience to teach it something which it must know if it is to fulfill its eternal destiny. If the lesson is not learned from one experience of a kind, it will continue to attract that type of experience until it does learn. Thus, whatever the experiences which a life-form undergoes at any particular time may be—however pleasurable or however painful—they are attracted because the soul has need of them in its education. The only way largely to escape painful experiences, therefore, is for the soul to learn how to acquire its essential lessons from experiences that are chiefly lacking in pain. The soul that now molds the form of a man developed the ability to handle chemicals—chemical selectivity—from its experiences in the mineral realm. Its progressive experiences in the vegetable kingdom, recorded in the thought-cells of the four-dimensional form, gave it those experiences which developed its power to mold a form which has sensitiveness. Passing through the varied range of animal life, from the simplest to the highly complex, gave it experiences which finally enabled it to express Simple Consciousness. And because its experiences in such forms afforded it opportunity to learn how to handle a still more complex organism, it finally was attracted to the fertilized seed which under the intelligence stored in the cells and structures of the astral form, grew into a man, endowed with a still higher type of mental expression, called Self-Consciousness. Experimental psychologists say that animal reactions, especially those of man, may be considered as occurring at three levels. The oldest is what they call the physiochemical level, through which the unconscious mind directs such functions as circulation, digestion and growth. On this level the thought-cells of the astral body exercise control through the chemical regulators of metabolism, the endocrine glands and the sympathetic and autonomic nervous system. Such processes were learned by the thought-cells in forms of life lower in the scale than vertebrate animals. The next level of experimental psychologists is that of the reflex, the sensory-motor level integrated by the peripheral nerves, spinal cord and brain stem. Its processes were learned by the thought-cells in forms of life lower than man which had advanced far enough to possess a well differentiated nervous system, such as all vertebrate creatures use. The highest level considered by experimental psychologists, the third, is the so-called psychic level commonly made use of by man, in which there is no problem of leverage, hydrodynamics or temperature; with acids, bases or hormones; nor even with simple or compound reflexes or nerve cells, nerve fibers or synapses. 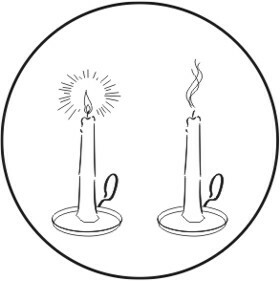 Instead, the reactions arise from the use of symbols. To a limited degree certain of the higher animals seem capable of handling symbols in their mental processes, but at least those more complex, such as are called concepts and ideas, only emerge as the implements by which the organism adjusts itself to its environment when the soul, having graduated from forms lower in the evolutionary scale, reaches the estate called man. Man, however, does not function exclusively on the symbolical level. It is merely the latest superstructure added to the edifice of his acquired abilities. And because so lately acquired, he has as yet learned to use it but imperfectly. More of his various reactions, therefore, still take place at the physiochemical and the reflex level; the symbolical, in so far as it takes part, merely acting as a stimulus to set these other processes into motion. This symbolical level of reacting to conditions does not imply the process of reasoning or even the activity of a physical brain such as is called Objective Consciousness; for the dream life, conducted by the unconscious mind, in higher animals is almost exclusively on this level. So let us examine now the processes and functions of that limited field of mental activity called the Objective Mind. Life-forms if they are to survive must make repeated adaptations to their environment. They must replenish the energy which is expended in their life processes. Furthermore, conditions surrounding them are never static; changes take place, and they must take appropriate action to prevent these changes causing their destruction. Their actions must be different in the heat of the day, for instance, than in the cool of the night; different in the summer than in the winter; different when in the presence of an enemy than when that enemy is absent. These experiences of the forms it occupies at various times are retained in the thought-cells and thought structures of the unconscious mind and increase its ability to meet still other situations successfully. It learns how to do many things, and as soon as it has had enough experiences of a certain kind, the energies of the thought-cells involved become so accustomed to acting together in the manner required to meet that situation that the adaptation becomes habitual. That is, it requires no close attention to the details of its performance. Such actions are then said to be directed by the soul, or unconscious mind. But when a new situation is present, toward which no habitual reaction has been established, a problem is presented which taxes the intelligence of the organism to solve. And to insure the organism of being fully aware of such changes in the environment, and to afford a keener tool to cut into the new problems thus presented, evolution—that is, accumulated and organized experience—has developed the nerve structures of the physical body, and as life progressed, grouped these nerves into a system, with ganglion, or centers, the highest type of which is the brain. The brain of an animal was not designed to be aware of all the various states of consciousness, nor to direct all the activities of the body. It was evolved for the clearer apprehension of the external environment, and to direct more effectively those actions which were made necessary by new conditions. The habitual responses of the organism to situations which it had encountered many times before are better taken care of by the unconscious mind. But to grasp all the implications of a new situation, and determine how they should be met, something more than the uncontrolled feeling which prompts habit became necessary. And to meet this demand for an additional implement for appraising reality, the cortex of the brain was evolved, which permits of feeling and wishing being to some extent subordinated to an intelligence which examines, compares, relates and finally decides. Exercising this and other functions through the brain is termed Objective Consciousness. Objective Consciousness is not something apart from the Unconscious Mind. It is present when the unconscious mind is able to impart the energy of some of its thought-cells and thought groups to the electric energies which flow over the nervous system in such a volume that it sets up similar vibratory disturbances in the cells of the physical brain. The variety of thought-energies that the brain at one time can thus receive and handle is quite limited. That is, the consciousness which is associated with the physical brain can attend to but a few things at a time. Furthermore, in order to connect up the energy of the thought-cells of the astral body with the physical cells of the brain, a chain of relations must be stimulated by some environmental condition. Objective Consciousness it may thus be seen not only was not designed to embrace more than a limited field, but by the nature of the forces under which it developed, it becomes active only at the point of conflict of the organism with its environment. That is, Objective Consciousness is chiefly concerned with new physical and mental adjustments. And it concentrates the mental energies in such a way as the better to overcome the resistances of situations not before contacted. We may expect, therefore, Objective Consciousness always to be engaged with some special situation or condition or the problems which it suggests. The thought-energies in the unconscious mind related to the particular thing which at the moment engages it are connected up, through the etheric energies which interpenetrate the physical body, with the cells of the brain. In sleep, because the thought-energies of the unconscious mind are largely disconnected from the cells of the physical brain, the Objective Consciousness does not function. Dreams, which are activities of the unconscious mind, are remembered only to the extent their energies are connected up with the physical brain, and thus brought up into the region of Objective Consciousness. Objective Consciousness has its important and special function to perform in life. But it can not be considered as the action of a different mind. No more so than the animal soul and the divine soul are separate entities within the domain of man. The Animal Soul merely embraces those thought-cells and thought organizations that are concerned only with the interests of the individual. Divine Soul merely embraces those that relate to universal welfare. Yet both groups of thought-cells and thought structures are interblended into the single organization called the unconscious mind. The soul, character, mind, or Unconscious Mind thus embraces all the states of consciousness of the organism. But the Objective Mind embraces only those that communicate their energies from the unconscious mind to the cells of the physical brain in a manner to be recognized. March 12, 1890 12:51 a.m. 70-57W. 42-16N. Winter 1917-18, in dead of winter, made way 3,600 miles out of Siberia, carrying $750,000 for Harvester Corporation: Sun, ruler of journeys (3rd), semi-square Neptune r, Mercury, ruler of money (2nd), semi-square Neptune r; Mercury, ruler of long journeys (9th) conjunction (prominence) Sun p.
May 28, 1928 was dead seven minutes, returned and wrote highly publicized, “Seven Minutes in Eternity”: Sun, ruler of death (8th) sextile Mercury r, ruler of foreign travel (9th). May, 1930, first issue of New Liberator, a mystical magazine with high political aspirations: Sun, ruler of politics, semi-sextile Neptune r (mysticism). October 9, 1889, 9:07 a.m. L.M.T. 81W. 43N. At 18, psychic experiences, converted, married: Sun, ruler of religion (9th) inconjunct Neptune r (psychic) in house of marriage (7th). At 20 husband died, leaving her stranded with baby in China: Sun inconjunct drastic Pluto r in 7th (husband). 1917, started to raise funds for her temple: Sun, ruler of religion (9th), sextile Venus r, in house of business (10th). May 18, 1926, the famous evangelist made her notorious disappearance, later to reappear: Sun, ruler of publicity (9th, semi-sextile Uranus r.